The Essential Guide to Classroom Practice has been written with two questions in mind. These are the questions that are most important to all practitioners who seek to improve the quality of learning in their classrooms – what strategies work? and, how do we implement them? 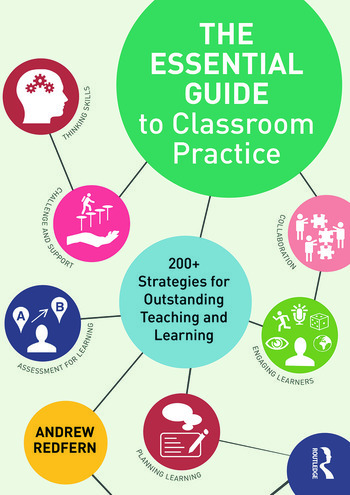 A key feature of this book is the handy collection of ‘Top 10s’ that appear in each chapter, such as 10 ways to use data in the classroom and 10 ways to streamline your marking. The book clearly explains the benefit of each approach described and offers additional guidance on using websites and digital tools effectively in the classroom. Packed full of ideas, the book offers a one stop shop for busy teachers. Andrew Redfern is Assistant Head Teacher at Sheffield High School, UK with responsibility for teaching and learning. He is also a Specialist Leader in Education (SLE) and a senior examiner for Edexcel.